A complete formative lesson with embedded slideshow, mini lecture screencasts, checks for understanding, practice items, mixed review, and reflection. I create these assignments to supplement each lesson of Pearson's Common Core Edition Algebra 1, Algebra 2, and Geometry courses. 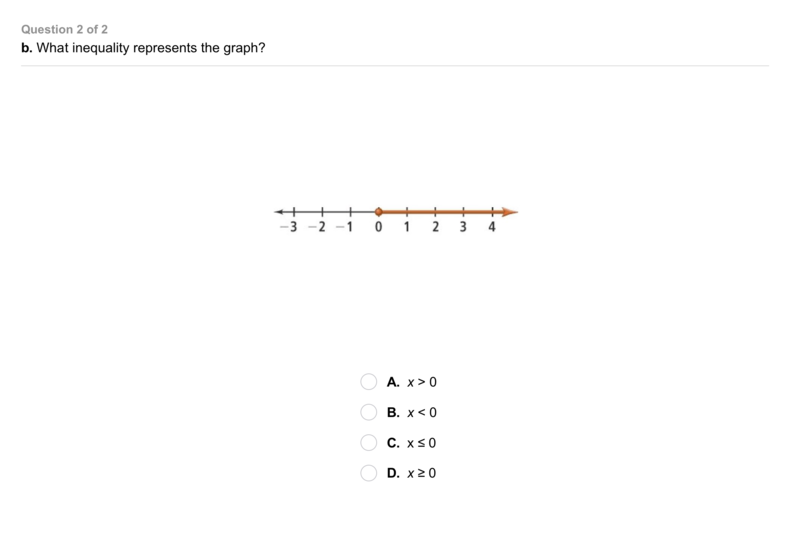 See also mathquest.net and twitter.com/mathquestEDU. 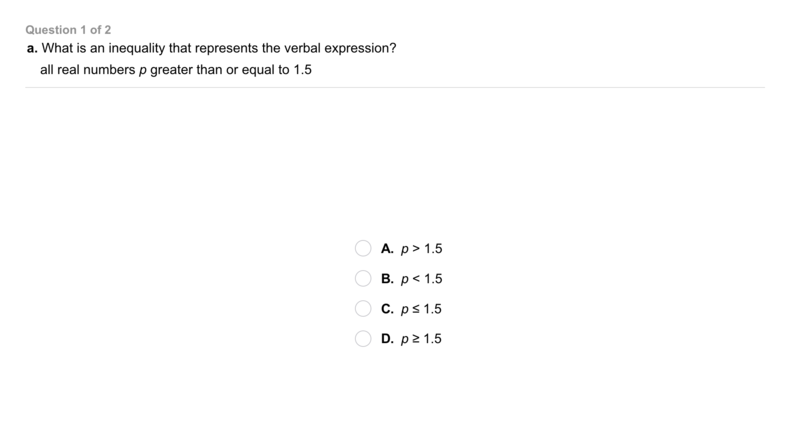 The outlined content above was added from outside of Formative. Solve It! 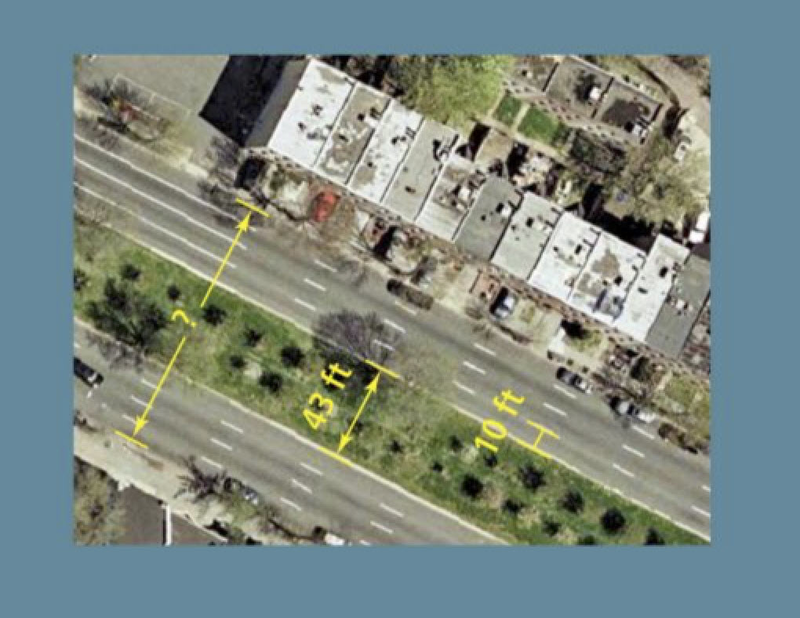 By law, the height of a newly constructed building in Washington D.C., can be no greater than the width of the adjacent street, plus 20 ft. Pennsylvania Avenue, shown here, is the widest street in Washington D.C. What is the maximum allowable height of a new building? Enter only a number, representing feet. Problem 2 Got It? Consider the numbers -1, 0, 1, and 3. 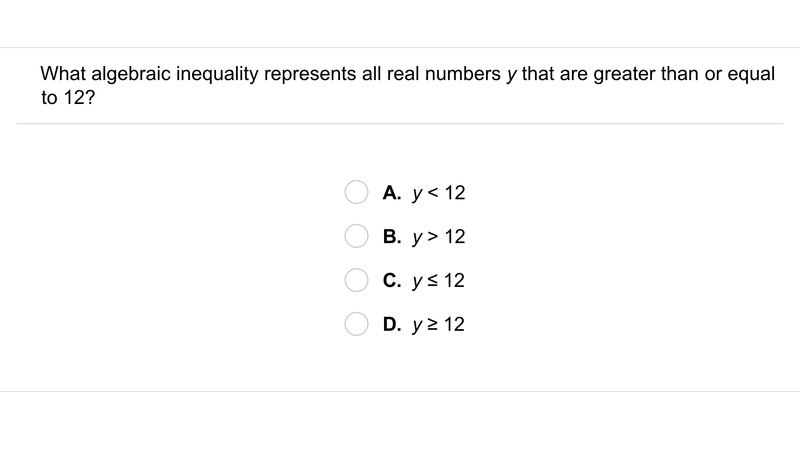 Which are soloutions of the inequality? In Problem 2, how is the solution of the related equation 2x + 1 = -3 related to the solutions of the inequality 2x + 1 > -3? Problem 3 Got It? 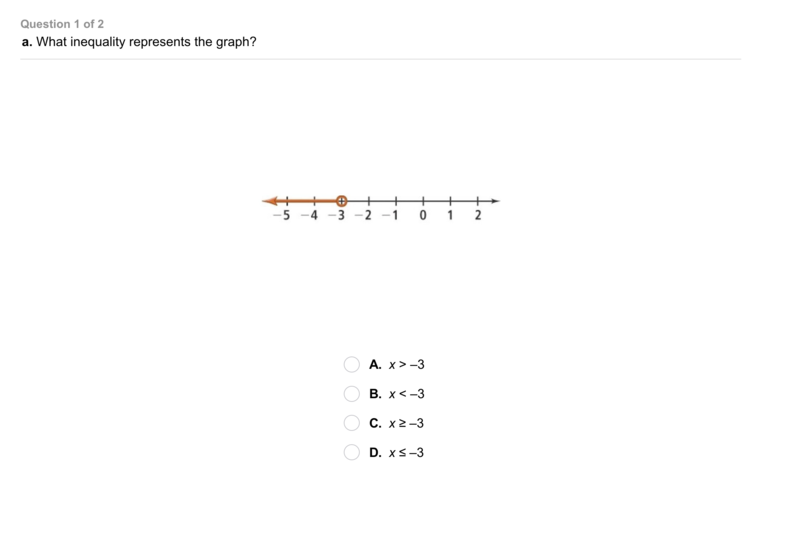 Match the graphs with their inequalities. Problem 5 Got It? 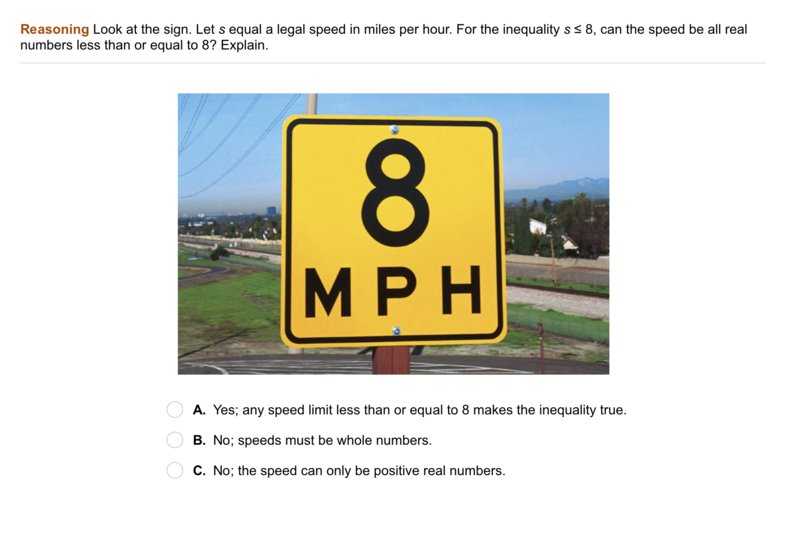 For the inequality, can the speed be all real numbers less than or equal to 8? Explain. 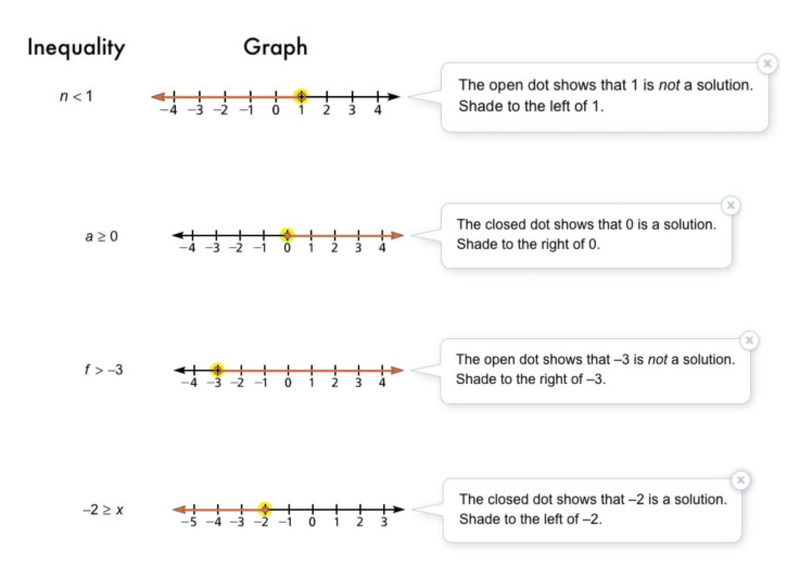 Compare and Contrast: What are some situations you could model with x ≥ 0? How do they differ from situations you could model with x > 0? 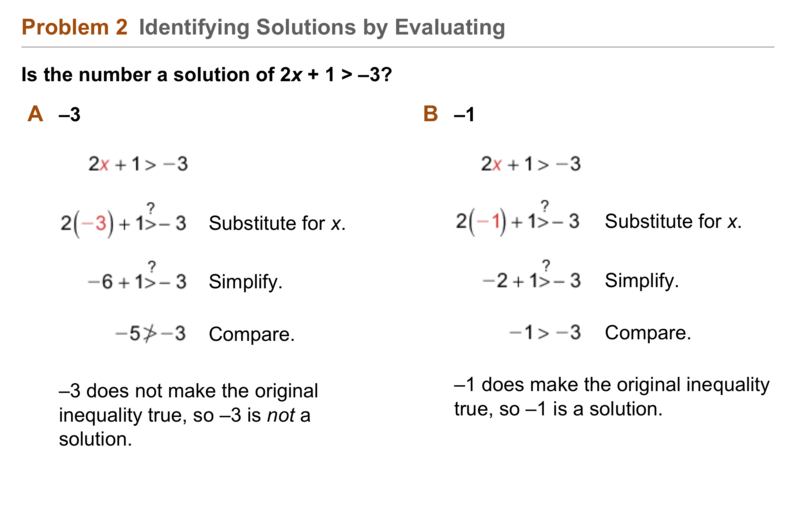 Review Lesson 2-10: Original amounts and new amounts are paired below. Categorize each pair as an increase or decrease. Review Lesson 2-10: Original amounts and new amounts are paired below. Match each pair with its percent change, rounded to the nearest percent. Review Lesson 1-6: Find the product. 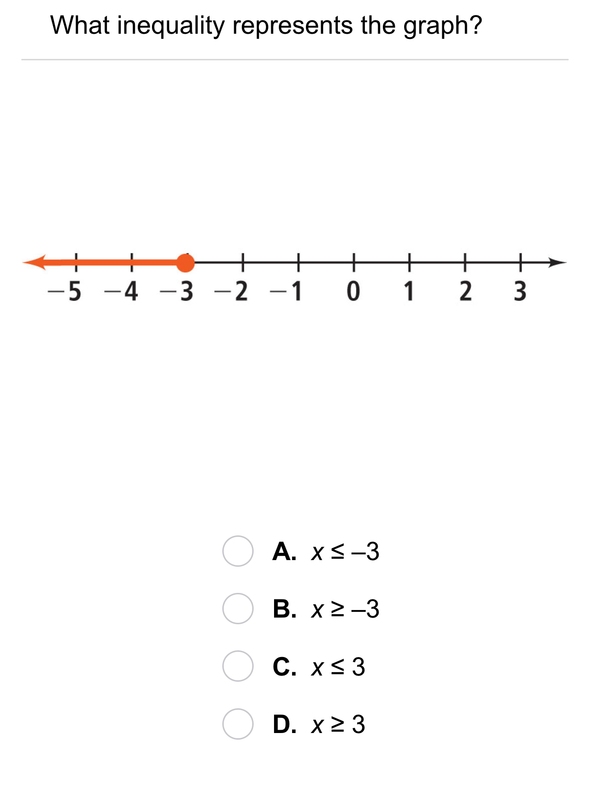 Review Lesson 1-6: Find the quotient. 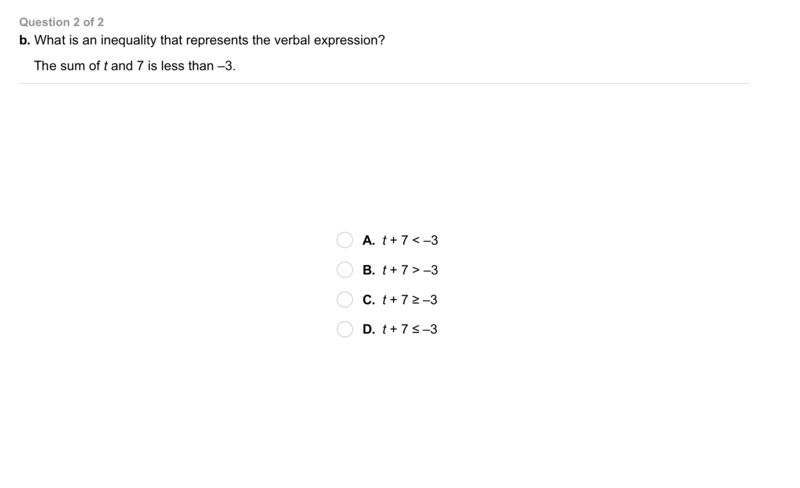 Review Lesson 2-1: Solve the equation. 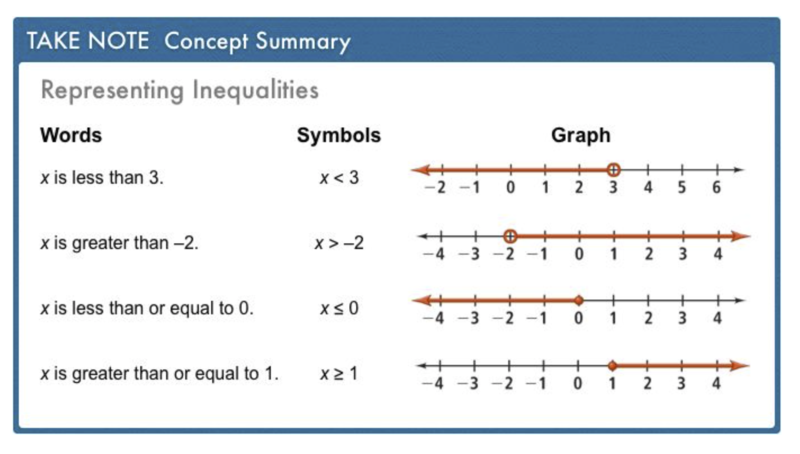 Use Your Vocabulary: Categorize each mathematical sentence as an equation or inequality.